Amrita Vishwa Vidyapeetham has announced AEEE Result. 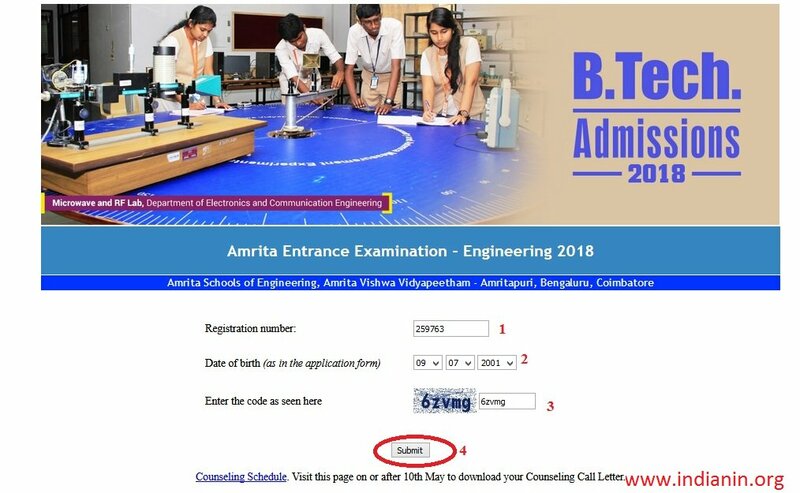 The University announced it on May 07, 2018, online, at amrita.edu. Approximately 20000 rank holders will be called for counselling and seat allotment. 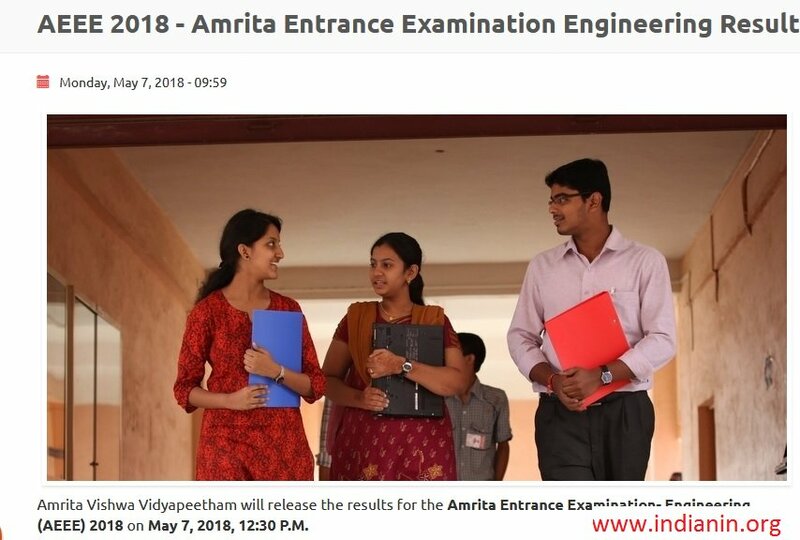 Amrita Vishwa Vidyapeetham conducts entrance examination across the country annually for admission to B.Tech programmes offered at Amrita Schools of Engineering – Amritapuri, Bengaluru & Coimbatore. . Examination is conducted in two modes Computer Based Test (CBT) mode and Pen & Paper Based Test (P&P). Visit the official website click on “View the Result” Tab, A new window will opened. Step 4 : Click on Submit Button and get your score card and counselling Date. After the result, the AEEE counselling will be held. It is mandatory for everyone to be present at the time of counselling with their original documents. i) For counselling, the University will only call those candidates who will secure a suitable rank in the exam and will be eligible. ** Candidates have passed 12th securing an aggregate of 60% marks in Mathematics, Physics and Chemistry (PCM). ** In each subject, candidates should have got more than 55% marks. ** If the aggregate marks are more than 60% but marks in a subject are less than 55% then they are ineligible. ii) Candidates can attend the AEEE counselling in any one of the 3 campuses. Choose the campus as per convenience. Candidates shall download the counselling call letter from 9th May, 2018 from the official website.